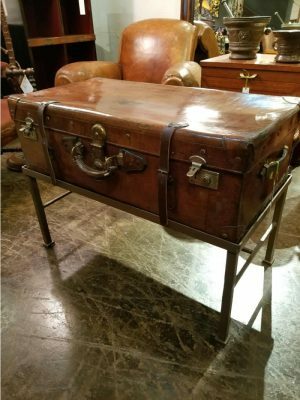 Historically, trunks were used for travel in lieu of a suitcase. 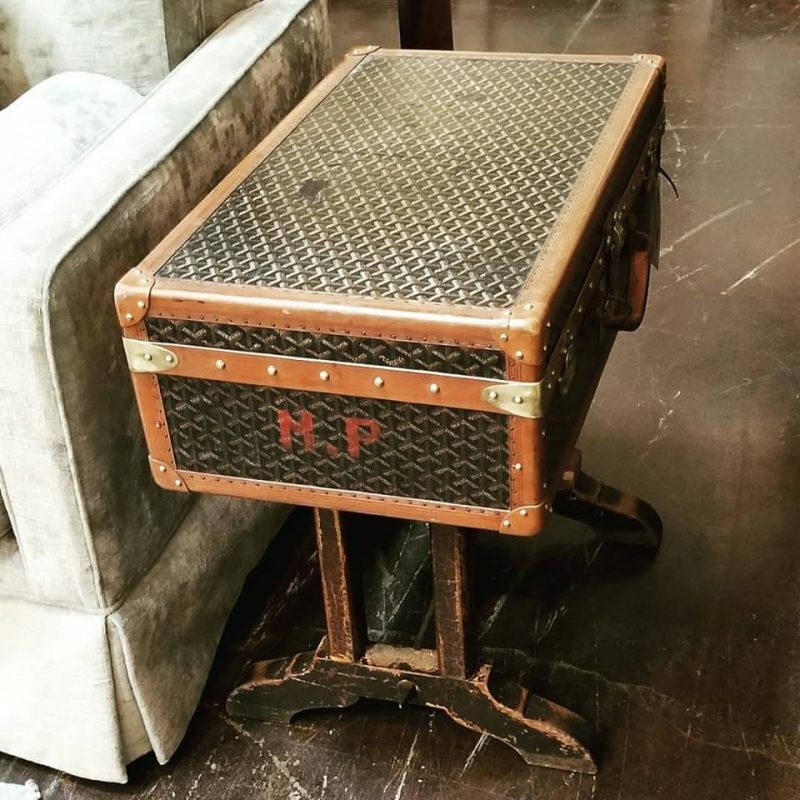 Today, unique steamer trunks, especially vintage pieces like our beautiful Louis Vuitton and Goyard trunks, add chic style when used as an accent or focal point in a room. Worn decals and travel labels, monograms of original owners and signs of travel wear spur curiosity about the prior owner’s travel destinations and the things with which they chose to travel. 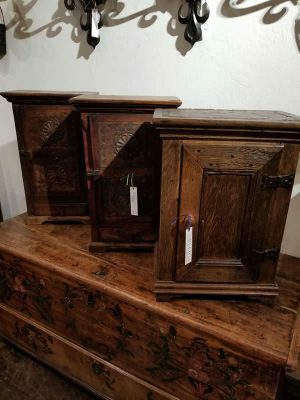 Give them a new life and purpose as an ottoman, console table or an occasional table to showcase family heirlooms, books, photos and lighting. A trunk also provides a handy storage solution in plain sight for photo albums, blankets, extra pillows, seasonal clothing or gift wrap supplies. If you’re a collector of interesting home decor like vintage or antique boxes, consider gathering your collection into one impactful arrangement on a side table or console. Then take advantage of this convenient, new found storage and put it to work by gathering up smalls from around the house, organizing items into like kind and stash the groups in your various boxes – charging cables, spare light bulbs, extra keys, toiletries, wine accessories, remote controls, candles and matches or lighters – all out of sight, but orderly in their own box and at your fingertips. Every time you open your remote control box, you’ll enjoy the small satisfaction of having elevated an object of beauty in your home by giving it a useful purpose. 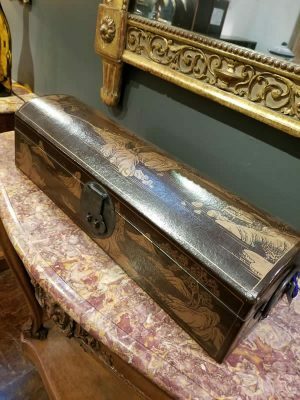 Convert a small chest or box into a treasure chest to organize and display jewelry or watch collections. Take your container to an organizing store to outfit it with custom velvet lined trays and organizers to fit the interior. Velvet will protect delicate finishes and rings, watches and jewelry sorted into organized grids are a pleasure to view and add convenience as you search for the perfect accessories for an outfit while providing a convenient way to gather up valuables to be locked away for safe keeping. Be creative and think out of the box to add style and convenient functionality to heirlooms in your home décor.